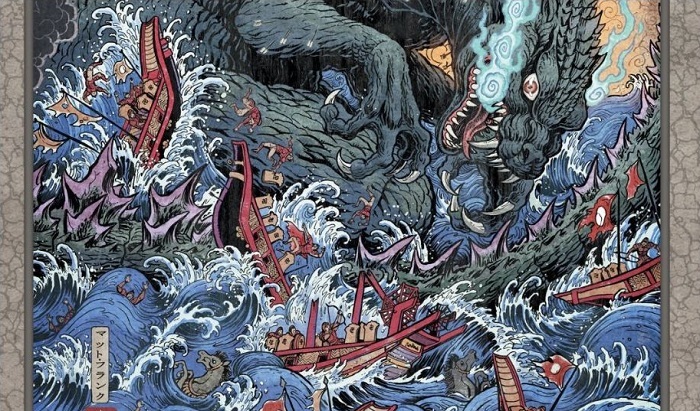 7 Best Godzilla Comics For New Fans! As a licensed property of the Toho film and distribution company, the Big G has passed through a lot of publishing houses in the past sixty-something years. Older fans surely hold dear with rose-colored esteem Marvel’s Bronze Age volume , complete with guest appearances by the Avengers and S.H.I.E.L.D. as well as the highly-regarded years that Dark Horse held the rights to the franchise in the 80s and 90s. With those bygone runs sadly no longer in current print, things kinda go quiet for a while. That is, until about 2011 when IDW begins to explode the scene wide with Godzilla project on top on top of project! Very much in keeping with the style of the giant monster subjects, the release of the various series is a little unwieldy and overwhelming at times. 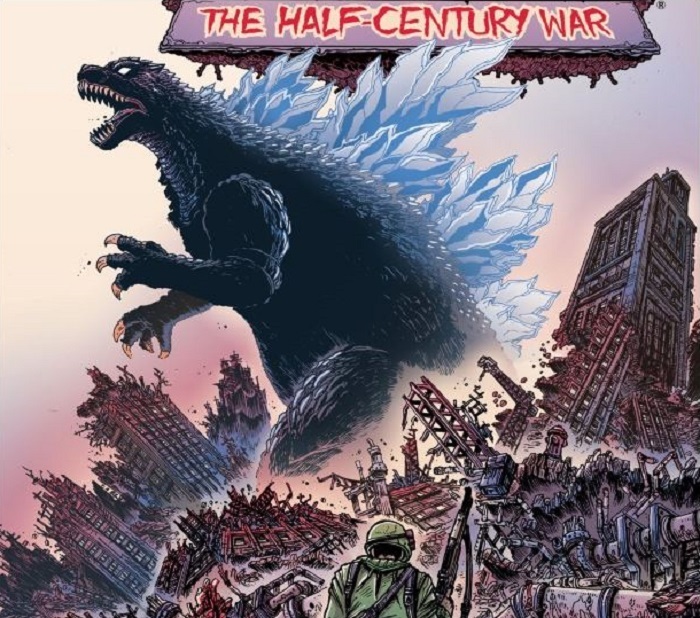 However, much like wildly swinging a colossal tail in the crowded center of a city at rush hour, IDW’s “buckshot spray” approach makes it near-impossible to not connect a Godzilla-flavored story with every reader out there. Here’s a breakdown on some of those releases. No kidding, this is a very “hit the ground running” affair – you get in and out on this one. No involved continuity and just a great artistic statement summed up in one succinct package. Also a fantastically loving salute to the history of the great lizard icon, as the tale begins in 1954- the same year of the first movie release. The “101” of IDW’s Daikaiju-Verse! Writers Eric “The Goon” Powell and Tracy Marsh along with artist Phil Hester (Irredeemable Ant-Man ) get everything going in this first salvo of a twelve-issue run. You won’t be lost if you skip over this and read another series instead but it is nice to know this is about as clean and easy an “in” there is to this continuity as there is (such that it is). No need to hedge with a fancy “colon: subtitle” this time as Duane Swierczynski and Simon Gane helm this loose sequel to the Kingdom of Monsters series. Despite following the controversial “comic books as television seasons” style of rapid rebooting and rolling this run out so hot on the heels of the last one, there’s not a lot of direct crossover. In fact, between tonal and creative shifts the two series act more as “thematic companions” than anything else. It’s only later that they get more intricately tied to one another. In this installment, though, overall things trend a little more toward “big action summer Hollywood blockbuster” as our protagonists are a mercenary team known as The Monster Kill Crew. Undoubtedly embodying the flavor of the piece is the Crew’s leader, Boxer- a Jason Statham surrogate whose tastes in fashion align with Venture Bros. bodyguard, Brock Samson. Sidenote on the depiction of wreckage in this volume: it seems that rebar consistently survives destruction best. Why don’t they just build everything in this monster-infested world outta frikkin’ rebar, then?!!? A delightfully offbeat five-issue mini that could just as well (if not better) be renamed “Mothra: Kaiju Crusader”! While the Big G is still very much a featured player, the focus is decidedly on the mythos of the famous lady insect. Somehow a heavy crime noir element gets juxtaposed into the mix because how could two things as incongruous as giant monsters and organized crime not go well together?!? The team of John Layman and Alberto Ponticelli essentially answer the question: “What If John Woo got to direct one of these?”. It’s quirky and left-field in that it is such the product of two different worlds but it is also thoroughly entertaining. The longest-running and most continuity-intensive of all the IDW releases! Tying together the first two ongoings, this volume brings back some old characters while pushing the envelope in a lot of other ways. Most pronounced is the emphasis on the alien contingency. While would-be conquerors from space have been a long-standing established part of the Godzilla movie mythos, it’s something that the IDW franchise doesn’t really go for until here. Chris Mowry and Matt Frank deliver the goods and hit on a formula that will make you want to come back for more! James Stokoe returns among others in this five-part anthology. It’s a series of interpretive done-in-ones only linked together by theme. There’s a framing hand-off in each chapter, so that’s nice but that’s obviously about where the tonal consistency ends. Also of particular note are the respective writer-artist installments by Bob Eggleton and Dave Wachter. Another short-run anthology series featuring a rotating cast of creators. The theme this time is simply telling kaiju stories in a non-modern setting. Historical accuracy doesn’t factor here at all, so just check it at the door and enjoy all the same! You get wonderful, sometimes Twilight Zone-y tales set in feudal Japan, ancient Greece and even at the time of the dinosaur extinction event, but the crowner is Ulises Farinas, Erick Freitas and Pablo Tunica’s chapter featuring General Hannibal Barca- who is just the show-stealin’-est of characters!